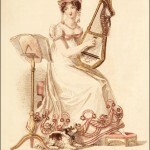 La Belle Assemblée, December 1809. 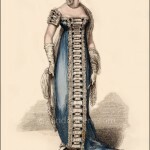 It is interesting that this dress is named a Full Dress, as most concert or opera dresses are classified as Half Dress. 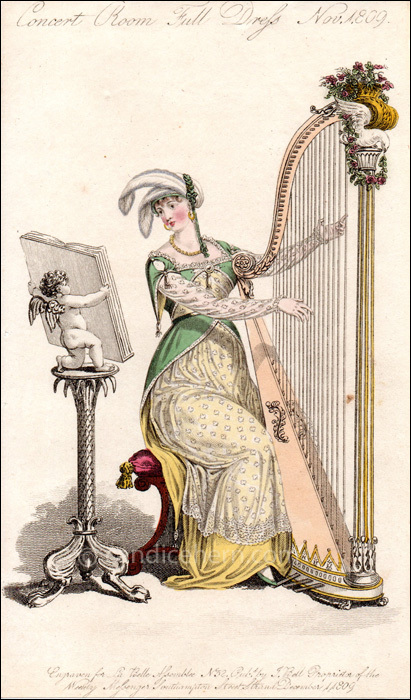 But perhaps a performer would have been expected to appear in full dress. 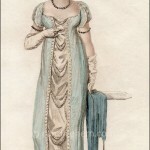 The luxurious fabrics (sarsnet over lace over satin), the silver trimmings, and the use of topaz brooches to confine the bosom, waist, and sleeves all suggest the richness and elegance of Full Dress.